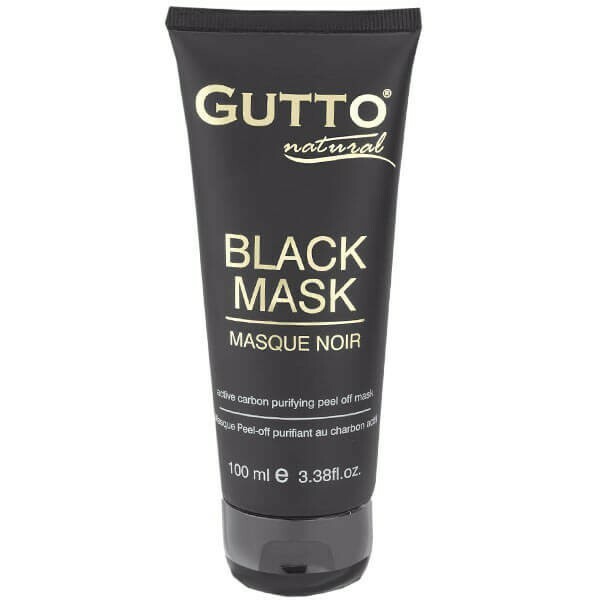 Gutto Peel-off Black Mask helps eliminate black spots and helps reduce acne.It nourishes the skin deeply and restores radiance and vitality to the skin. The active ingredients contained in the mask help to tighten the pores that dilate after extraction of blackheads. 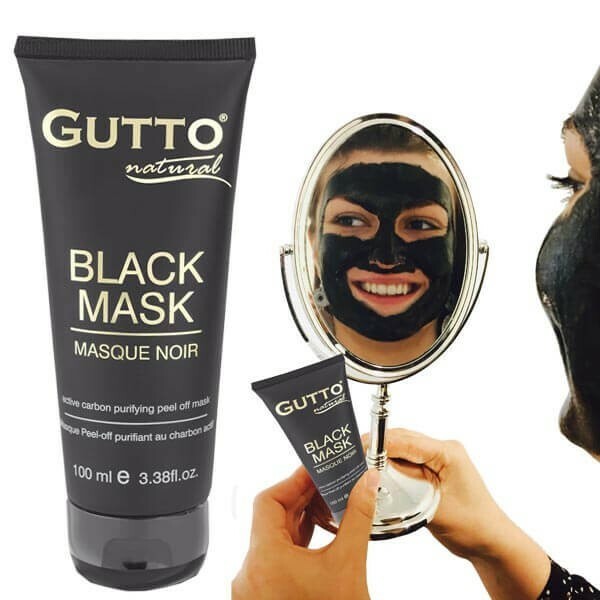 Gutto Charcoal Black Peel-off Mask is a second skin purifying and facial cleanser with activated charcoal recognized for its benefits against impurities in the skin. The peel-off black mask contains Arbutin, an effective anti-stain and anti-black spot that helps correct skin imperfections and reduces brown spots caused by the sun. The use of black activated carbon peel-off mask will unclog all imperfections such as blackheads, pimples, excess sebum, which will allow the skin to regain its radiance and natural beauty. The assets of this beauty product will leave the face a feeling of freshness and cleanliness as well as a radiant complexion and a skin full of vitality thanks to the actions of this care anti-impurities. The skin is healthier and sharper, it remains hydrated and purified, which prevents blackheads, pimples or redness to reappear constantly. Before applying the black mask, wash your face with warm water and dry properly, then Apply the mask, evenly and thinly, all over the face avoiding the eye and lips. Allow to dry for 15-20 minutes, then, once dry, gently peel off the skin and rinse the face to remove any residue.